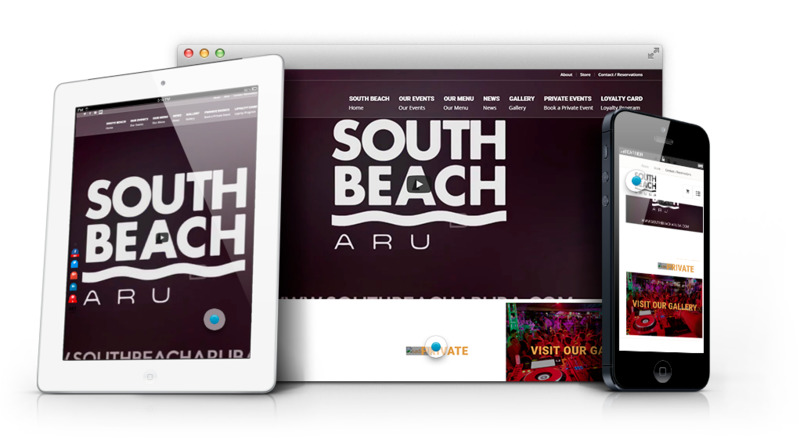 For Aruba’s premier open-air bar and entertainment lounge, we created a site with high-impact visuals through a front-page video slideshow and made sure the site was rich with high-end design and functionality, including an easy-view upcoming events calendar, streamlined event registration, and lots of event pictures – all of which is highly shareable to social media platforms. In addition to the website design, this client has enjoyed a range of our other services, including graphic design, photography and video production, content writing, social media marketing, sales and marketing consultations and a full all-in-one package service. Highly shareable to social media platforms. Clean presentation of full menu in html. Multiple lead form generation system. Inbound landing page forms for Google Adwords.